Since many states legalized medical cannabis in the early 2000s, the healing properties of cannabis have become a wide spread truth. For those who seek a natural way to relieve symptoms of medical conditions, depression, anxiety or discomfort, the power behind cannabis may be just what the doctor ordered. Residents in Colorado are fortunate enough to enjoy a variety of cannabis products that promise practical medicinal uses in addition to recreational ones. With so many seemingly similar edible varieties available, navigating the medical or recreational market to find the right relief for you can be a daunting and overwhelming experience. In addition to the paradox of choice, many have experienced mixed results from edible use in the past. Some may remember how those pot-brownies their roommate made in college had a sedating effect that was just too much, while others don’t feel a thing after trying their first cannabis infused gummy. Inconsistent results like these deter many from wanting to try edibles again. City Sessions is here to help. First it is important to understand the different ways THC is absorbed in the body. Inhaling cannabis smoke or vapor has a much quicker onset as THC is absorbed into the bloodstream instantaneously through the lungs. THC that is eaten and absorbed through the digestive tract metabolizes, and actually transforms into a different compound, 11-hydroxy-THC. This process takes longer to take effect, but will result in a stronger psychoactive and lengthier high. Ingesting THC through the means of a sublingual application (tincture, hard candy, beverage) will result in a quicker onset that does not last as long, as the THC is absorbed through the lining of the mouth, directly into the bloodstream. In the Colorado cannabis market, manufacturers are using many different ingredients and techniques to infuse their edible products. We have seen the rise of distillate as an ingredient used in edible production due to its high purity and lack of taste. Distillate is a fully activated oil that can be infused into chocolates, gummies, tinctures and topical products. Due to its purity, distillate is very easy to accurately dose, and has become a favorite ingredient by many edible manufacturers for product formulations. We have also seen the rise of nanoencapsulated cannabinoids in the edible market. These products offer the user a much quicker onset time, as the cannabinoids are water soluble and can be absorbed very quickly into the bloodstream. At City Sessions, we have partnered with two edible companies who utilize these methods to achieve different results. 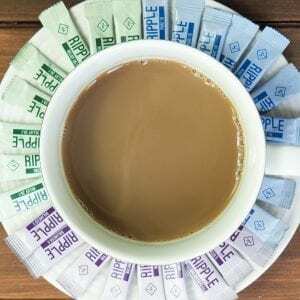 Stillwater Brands has created a truly revolutionary product line of infused teas, coffee, gummies, and water soluble cannabinoid packets that come in different THC/CBD ratios. These products are all formulated using Stillwater’s proprietary nanoencapsulated cannabinoids. The Ripple products (water soluble cannabinoid packets), have made waves in the Colorado marketplace due to their efficacy, consistency, accelerated onset and their ease of use. Ripple consumers can put these products into any beverage, or enjoy them sprinkled on their favorite foods. With Ripple, anything can be an edible! 1906 crafts perhaps the most highly sought after edibles in Colorado. Their 5 piece product line features low dose, experience based edibles that give the user an effect, custom tailored by the team of chemists in the 1906 lab. The effects of GO, BLISS, PAUSE, MIDNIGHT AND HIGH LOVE are all achieved through the use of other herbal supplements in conjunction with a low dose of cannabis. 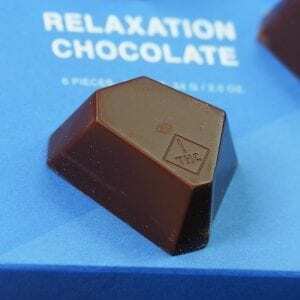 All 1906 chocolates feature a 1:1 ratio of THC/CBD (5mg of THC & CBD), which they lipid encapsulate to ensure an onset time of no more than 20 minutes. The lipid encapsulation allows the cannabinoids to bypass the stomach and be released directly into the small intestine for optimum uptake and bio-availability. At City Sessions, we are eager to assist you. Let us educate you on this remarkable plant and help find products that work with your body chemistry to elevate your life!